Chores are defined as unpleasant but necessary routine tasks. Well, my weekends are full of them! Chores, routines, and tasks. So I’m always looking for new ways to add sparkle to my weekend routine by removing the “bore” from the chore. Like most people, I find it challenging to find the time to cook every night of the week. 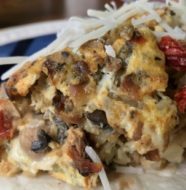 So I spend Sunday afternoon cooking up two or three recipes in large batches…enough that I’ve got three or four lunches and as many dinners that I can quickly reheat as the week goes along. 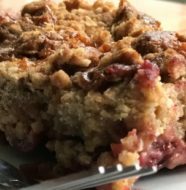 And as much pleasure as I get from cooking, when you cook in such large quantities it’s not really relaxing – and it’s easy to fall into a rut. 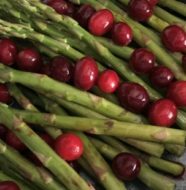 Spending so much time around the stove and kitchen island prepping and cooking food, I like to make sure I have some fresh cut flowers in my line of sight. They really do add something almost magically beautiful to the kitchen landscape. 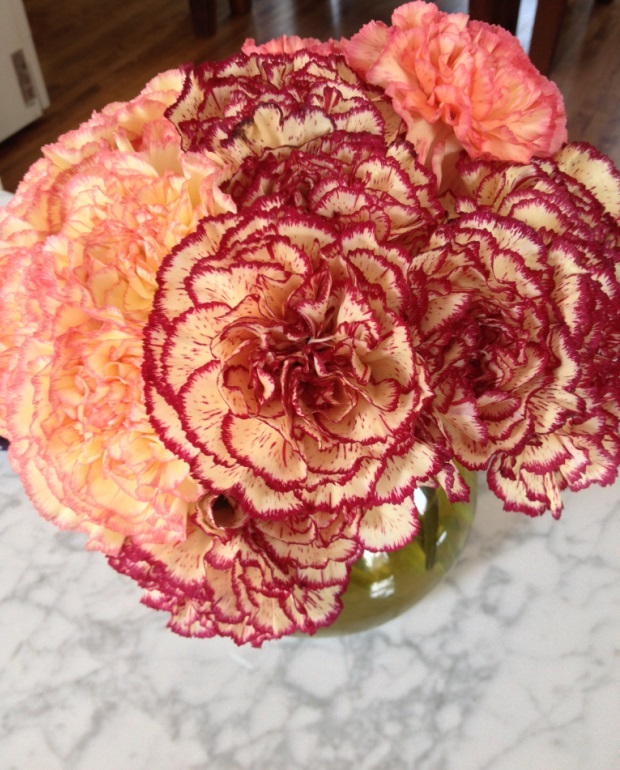 Did you know that adding a 1/4 cup of seltzer water will help keep your flowers fresh? It works on plants, too. Carbonated water can provide macronutrients, such as potassium, phosphorous, sodium, hydrogen and oxygen. All are essential ingredients, absorbed by the roots of the plant, that will speed the plant’s overall growth. Running around in the car on a hot summer day is tiring and dehydrating. I like to put a bottle of sparkling seltzer water in the freezer for 15 minutes before I head out the door. Then I grab my keys, seltzer and I’m ready to hit the road. 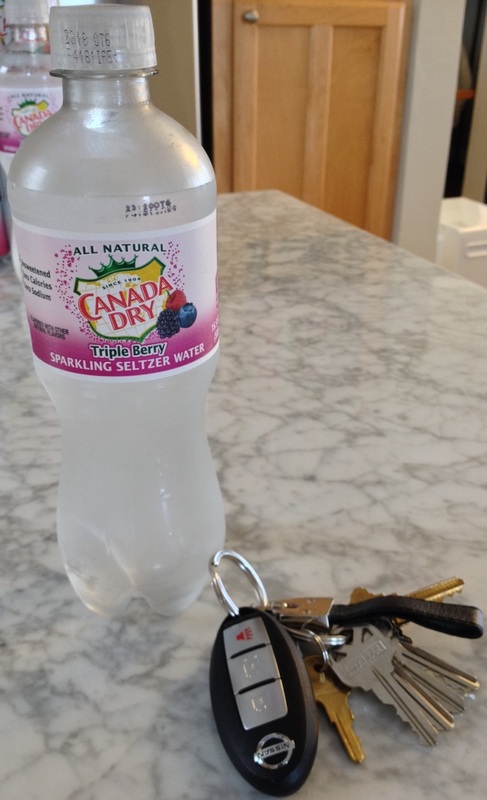 In between my errands to the dry cleaners, grocery store and pharmacy, I find that drinking ‘deep-chilled’ seltzer water keeps me hydrated, refreshed and less likely to be tempted for a fast food snack. It doesn’t weigh me down the way colas can in oppressive heat – and I’m able to stay focused (and safe) with my full attention on the road. I’m a nerd for new products. So it’s easy to get me distracted at the grocery store or to lose track of time by going leisurely from aisle to aisle. To make sure I don’t waste time, I make a list BEFORE heading out to the store. I organize the items on my list in the order I’ll find the products INSIDE the store. That way as I go from Produce to Bakery to Meats to Frozen, I have everything grouped for easy access. And if I don’t have any items on my list for, say, the Bakery Department, I skip it altogether. Less temptation, more time for something else. But I’m not totally inflexible. I do allow myself ONE purchase of an item not on my list. That way I can indulge in moderation, while still staying on track for time and budget. With four dogs, it feels like the laundry is never done. And while I’ve successfully avoided using the washer and dryer for up to 10 days (my personal record – so far), letting the laundry pile up makes doing the laundry even worse when I finally face it head on. So I’ve learned the best way is to keep at it throughout the week – just like doing dishes – so you never have more than 2 or 3 loads TOPS to wash, dry and fold. And as much as I’m tempted to drink while doing laundry, I don’t. You see my washer and dryer are in the basement of my 120-year old house. I have to go down very deep and crooked steps to get to the basement. If I had more than a small alcoholic drink, I’d surely tumble to a fate full of pain. Instead, I opt for virgin mimosas. I can imagine I’m on a tropical vacation in my mind, while still folding sober. 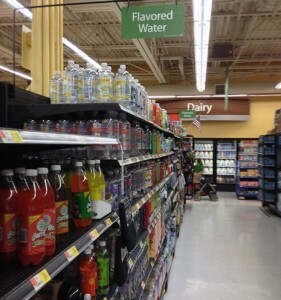 I found Canada Dry Sparkling Seltzer Water in the Flavored Water aisle at my local Walmart store on this #shop for #Collective Bias. Before you head to your Walmart store, click here to save $1.75 off when you share this page. Don’t care to share? 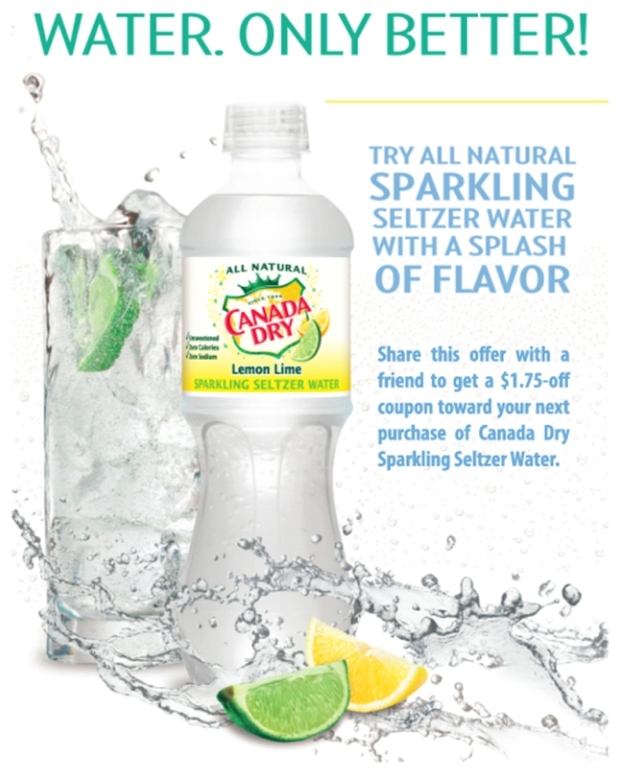 You can still save by printing this coupon for $0.75 off your next Canada Dry Sparkling Seltzer Water purchase. How do you #AddSparkle to your routine?